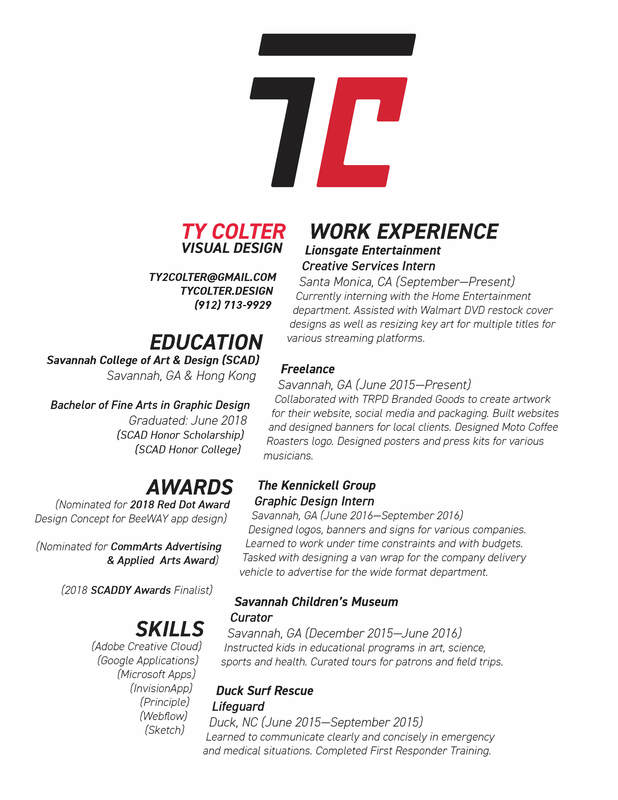 I'm Ty Colter, a visual designer who recently completed my BFA in Graphic Design at the Savannah College of Art & Design (SCAD). I recently completed an internship Lionsgate Entertainment in Home Entertainment and am currently a Junior Art Director at Ignition Creative. I’m originally from Pensacola, FL and ended up moving to Savannah, GA in 5th Grade when my dad took a job at Gulfstream Aerospace. Living in Savannah and being around SCAD had a major influence in my choosing to attend SCAD and pursuing a career in design. At SCAD I refined my skills in Graphic Design and more recently have gotten into Web Design and App Design. It wasn’t until my senior year that I realized I have a passion for digital and UX design. Naturally, my passion has led me to learning many new skills, design applications and prototyping tools such as coding, Sketch and Principle. Growing up in Florida led me to having a passion for the ocean and the beach. I spent two summers working as an ocean lifeguard as part of Duck Surf Rescue in Duck, NC. 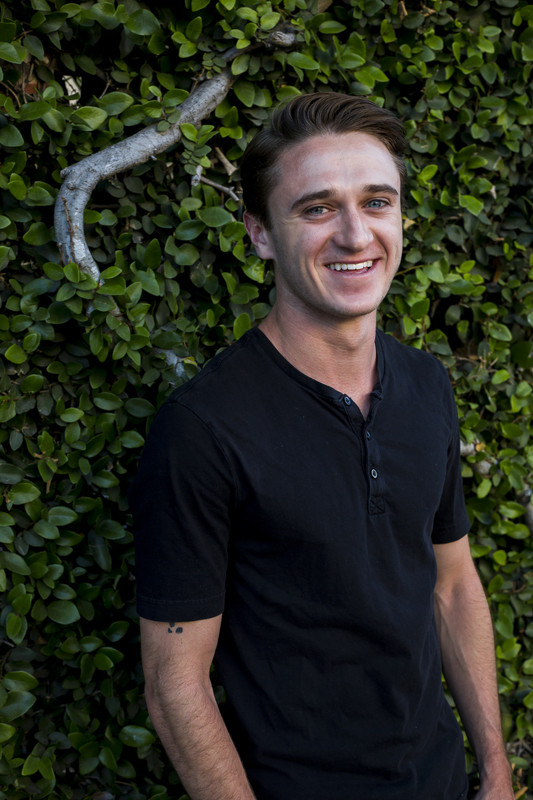 I like to spend my free time surfing, playing soccer, working out, reading, hanging out and making music with friends. I’m a massive fan of Liverpool F.C. and rarely miss a game. Check out my portfolio and process.